news Digital services firm Spark Ventures has moved to BMC’s cloud-based Remedyforce solution to better manage the back-end infrastructure that supports its consumer and business digital services. New Zealand-based Spark Ventures (previously part of Telecom NZ) develops businesses that provide digital products ranging from video-on-demand and Wi-Fi, to cloud computing and big data. To succeed in such fast-evolving markets, the operations and platform delivery team had needed to boost efficiencies across across a range of tasks, so they turned to BMC’s Remedyforce – a digital service management platform built on the Salesforce App Cloud. According to BMC, the move has allowed Spark Ventures to “reinvent” how it manages changes, incidents and service requests, and to enhance existing services or develop new ones more quickly. “We had a number of incident and change management challenges and knew we needed a comprehensive service management solution …,” said Peter Yates, Head of IT and Operations for Spark Ventures and five of its startups. “With Remedyforce, we’ve managed to resolve those challenges. We have change management with various process flows and are tracking incidents and service requests separately, and automated reporting to our customers saves us valuable time that we can use on more strategic activities,” he said. The automation and standardisation provided by the Remedyforce platform has allowed IT team to increase the speed, quality, and efficiency of the support it provides for its businesses and services, said BMC in a statement. Automation is key in helping resolve issues and implement changes quickly. BMC said change requests now take just 10 minutes. Additionally, weekly and monthly reports are now also automated, providing management with insight into key performance indicators and saving over 10 hours per month. BMC has also announced new Remedyforce features this week. 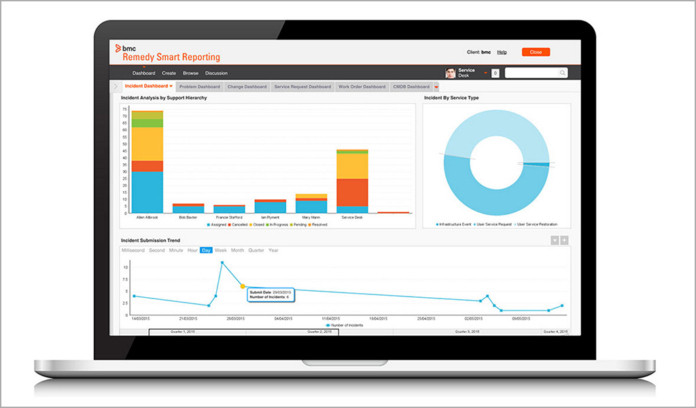 These include automated ‘agentless discovery’, which allows IT teams to “effectively and efficiently” track assets. Previously offered as an optional extra, agentless discovery is now included as part of all Remedyforce subscriptions. Other new features available with the platform include client integration with two client management options, and a service health dashboard that enables IT teams to transparently share outage and maintenance downtime information with business users. Also added is enhanced mobile, which BMC said provides a “seamless experience” for business users and IT staff on the Salesforce mobile platform.